Water Princess, Fire Prince BLOG TOUR – Interview With Clara! I’m sorry, people. I miscalculated the blog tour dates in July. I thought this post was supposed to go up tomorrow, because I like posting bookish things on Thursdays. So yes, I know it’s the middle of the day instead of 5:00 in the morning because I usually preschedule posts. Just some proof I’m not perfect. Anyway. Onto the post at hand. Hold fast, do not fear, do not run. Fire Prince will set all to right. Their union will save you all. Despite the fact that she’s on track for competing in the Olympics, and he’s practically raised his younger brothers since they lost their mom in a car accident, Clara Mandras and Andrew Stevenson are pretty much normal teens. They have normal hopes, normal dreams, and they live in a normal world. All this is torn away from them when they are thrust into another world and declared Water Princess and Fire Prince. With no experience ruling a country, meeting each other for the first time, and being expected to fight the Lady Dragon – an evil sorceress plaguing the world of Rizkaland – Clara and Andrew are underprepared and inexperienced. Unless they learn to work together despite their standing opposition, Rizkaland’s hope will be lost. What is to come will change their lives forever. Kendra E. Ardnek loves fairy tales and twisting them in new and exciting ways. She’s been practicing her skills on her dozen plus cousins and siblings for years, “Finish your story, Kendra”, is frequently heard at family gatherings. Her sole life goal has always been to grow up and be an author of fantasy and children’s tales that also glorify God and His Word. You can read more about her on her blog, knittedbygodsplan.blogspot.com. I interviewed Clara this week in Rizkaland. That trip was fun. Long, yes, but so much fun. In bold are my questions, and her answers are directly after them. I did not change her answers, only added to some of them (and I added her actions and dialogue tags, by the way.) Some of her lines are written by me, but not her original responses to my questions. Yes, I did take full advantage of my fangirl license. I apologize if it’s not 100% accurate to the book. Now that I’ve gotten that out of the way, here’s a snippet of this week’s trek down to Klarand. Clara, except her eyes should be blue. I walk across a field of wild grass, my eyes and mind trying to take in the scenery. Mountains surround me, as do flowing waterfalls that are distinctly blue. 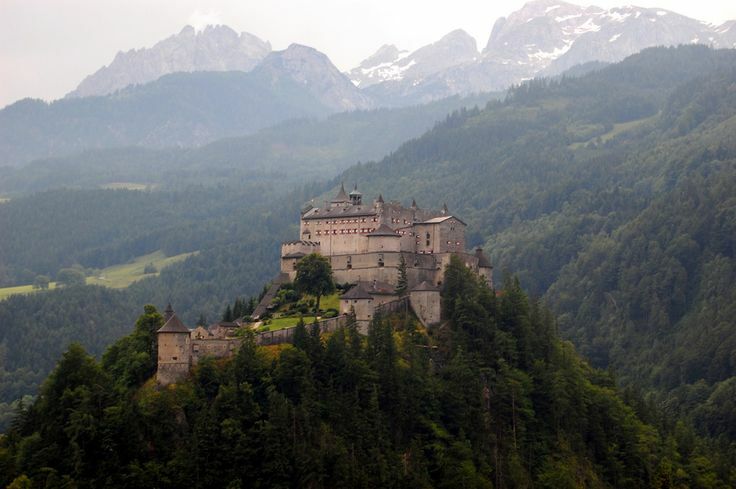 The tallest Mountain holds a castle, built so solidly and intricately that only the most skilled Architect could do such a thing. It’s breathtaking. I know this to be The Kastle, but the pictures I’ve seen do it no justice. I’m awed. I can barely take it all in, being obsessed with mountains and all that, but I’d better hurry. I have someone that will be waiting on me if I take too much time. I was told that there was a small café built into one of the smaller mountains (it’s connected to The Mountain that The Kastle sits in), and that’s where I’m going. I’m excited to be meeting someone special. She hasn’t met me yet, but I know her very well, and we are more alike than she probably thinks. I’m a little nervous. I can be awkward with new people. But no matter. I’ve been looking forward to meeting Clara for a few months now. Now I see the café. The sign is faded, but I can tell wood from rock. I’m glad to be somewhere I can sit, after walking a few hours. I open the door and the bell on the door jingles. I’m greeted by a short and plump woman, with smooth, wavy brown hair to her waist. Her white apron is crisp and neat over her simple red dress. She looks at me and smiles with sparkling eyes. Gratefully, I oblige, and I am shown to a little table with a window. We pass a dozen small tables with people chattering and drinking hot drinks. The waitress gives me two mugs of hot water upon my request, and I thank her. I sit down in the corner, right in front of a window. Pulling my backpack off, I sort through the things I brought. Hot chocolate mix, check. Three books, yes. And a clipboard full of questions. I hope Clara won’t hate me for this. I pull out Alice’s Adventures in Wonderland and start to read. Becoming engrossed, I feel as though I’m turning the pages faster than my eyes are reading the words. I love this sensation, and if I had the choice to live in a library, I would take it. I know I would. I feel a shadow over me, and I quickly look up from my book. It’s the Water Princess. I have not even the slightest idea of how long I’ve been reading. I instantly stand up to my feet, place a fist over my heart and start to curtsy, but she waves me off. “Right,” I reply feeling suddenly shy. My tongue is tied for a second and I blush slightly. “I’m Amanda,” I say, looking into her face. She seems to resemble me in some ways, from our blonde hair and blue eyes to our build and stance. I’m not sure if she’s pleased or not about that. Clara keeps her emotions concealed for the most part. “Thanks for meeting me here,” I offer with a smile. “It’s a good thing we both made it, then,” I interject. “That’s a great book, by the way.” She motions to my book. I’m afraid she’ll be weirded out if I tell her that I’m only reading it because of her, and because I love the references she makes to it. She doesn’t know that I know a lot more about her than Kendra has told her. I don’t say anything else on the topic. Not knowing exactly where to start, I clear my throat slightly apprehensively. Before I start, I try to break the ice by grabbing her favorite drink out of my backpack. I had a feeling she’d say that. I pour the mix into the two mugs of hot water, and try to continue with my questions. I clear my throat and glance down at my clipboard. “Talented girl,” I say to her. Clara shrugs again. It’s not like she hasn’t practiced her whole life. “To compete in the Olympics. Probably in fencing.” Her answers are confident. This girl knows what she wants. I ask her another question, hoping she’s not getting bored. Clara stirs her hot chocolate, and looks into my eyes to answer. I bite my lip, not knowing how she’s going to respond to my next questions. Clara blinks, and then answers quickly. I barely hold back an impish smirk. “You burn tea water?” She asks me. We both laugh, then after a moment, I clear my throat for the next question. I take a sip of my own hot chocolate before asking the next question. She looks at me thoughtfully, like she already prepared to answer this. I like her answer. Sounds like something I would say. “I hope so,” she replies. Clara sarcastically flickers her eyebrows. By this time, our hot chocolates are almost gone. I tell her that I’m close to being finished with my questions, and she looks relieved. I don’t think I’m annoying her, but who likes being interrogated by someone who could be your twin? Or anyone, for that matter. I flip over the sheet on my clipboard to ask her the last two questions. Clara nods in agreement, and I can tell she’s trying not to laugh at me. Still, she keeps her composure quite well. “And now for the last question,” I tell her. Taking one last sip of her hot chocolate, I can hear Clara laugh quietly. She puts down her drink at meets my gaze. I knew she’d say something like that. I try not to laugh, but I fail. And I’m sure of it. “I guess you didn’t really get to know me, though,” I say to her. As she walks out, I smile. I hope I’ll get to meet with her again soon. 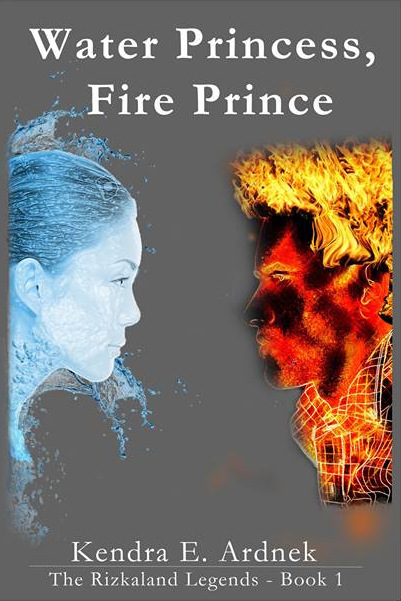 And Water Princess, Fire Prince is now on sale for just $1.99! Get it while it’s hot! Eh, it happens. I possibly should have put the day of the week on the sign-up form. I really enjoyed reading the expanded interview! AAAAAND I forgot to click the “notify” button so I can keep track of comments. Don’t mind me. I’m not perfect either. Haha it’s fine. Ah well. Nobody’s perfect here. It’s okay. I should have looked at a calendar (I counted it all out on my fingers). And thanks! I had fun with it. Great interview! I love the way you turned it into a story! Next time you go, tell us first! Good. You’d better. *nods* If you don’t, well, you’ll leave me no choice- I’ll have to bring out the sad puppy eyes. *shakes head* Nope. You don’t. Thanks, Sarah! It was fun. Ha. I know. It’s fun to ask, though, because I want to see how far they go to avoid the question. Me too. 🙂 You get to know the character better that way. You took a trip to Rizkaland without me!!! I love this interview! You totally should write a fiction book! You would be great at it!!! Thanks Gabs. ❤ You're so encouraging!! Something to do when I have some time on my hands. Liked this. Shouldn’t ‘cafe’ have been spelled ‘kafe’? And I totaling agree, you should write a book. I think you’re a better writer than me. Haha, perhaps. I don’t know. Probably! But I also referred to The Kastle as a castle, and like I said…Rizkan spelling and speech is confusing! Aww, thank you. You’re sweet. That’s a high compliment! But you specified that the waterfalls were distinctly blue. 😀 Nice. Thank you. Yes, I specifically remember that they were. And breathtaking at that.